I download 3v3 patch but when I lunch in my mugen my chars in vs screen have transparency portraits and when I start the game 3v3 or 4v4 All of them are fighting at the same moment there is no change between them .. What is the solution? There is no solution. This is how it works. It's just a hack that tells Mugen to let you choose 3 or 4 characters in simul mode. Literally, a single byte or two is edited. I know because I did the Mugen 1.1 versions (ya rly). 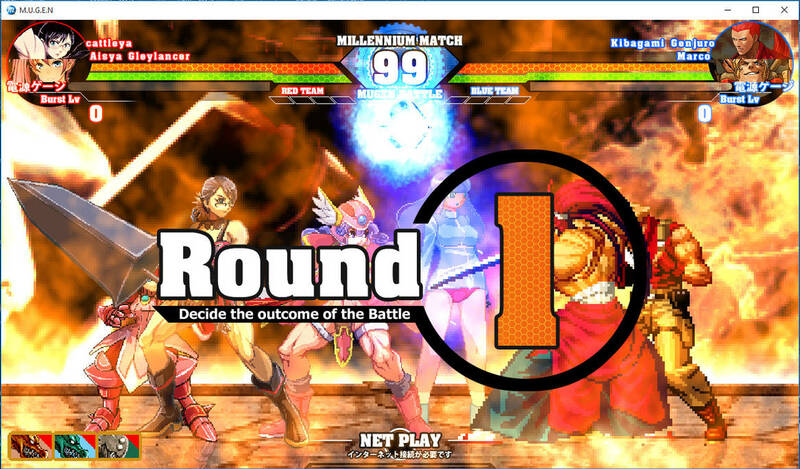 Tag mode is not built in to Mugen. There is no code in Mugen to handle 3/4 character teams on the VS screen, nothing for players' 5-8 health bar, and nothing for spawn points on the stage. The benefit to 3v3 and 4v4 is that you can have massive and crazy battles. Nothing more.